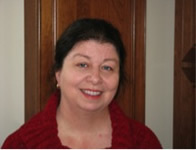 Carol Thompson is Professor of Physics at Northern Illinois University in DeKalb, Illinois. She is a materials physicist whose research programs provide insight on how the arrangement of atoms and molecules at surfaces and interfaces differ from that of the bulk, and why these arrangements affect the physical properties expressed in heterostructures. Thompson’s experiments are located at the Advanced Photon Source at Argonne National Laboratory, where she uses x-rays from the synchrotron to perform her x-ray scattering and diffraction experiments during growth and processing of materials. She received a B.S. in Engineering and Applied Science from California Institute of Technology, an M.S. in Materials Science and Engineering from Stanford University, and a Ph.D. in physics from University of Houston. Before coming to NIU, she was on the physics faculty at (former) Polytechnic University in Brooklyn, New York and served a term as president of the Materials Science Club of New York. She has served as Chair of the steering committee of the Advanced Photon Source Users Organization (APSUO)), representing their 4000+ users with programs spanning diverse areas of physical and life sciences. She is UG advisor, and chair of the NIU physics department undergraduate curriculum committee and coordinates the senior capstone projects.